The so called “P3” is an international Conference on Sustainable Tourism which takes place in San Jose, Costa Rica from 3rd to 6th November. It is organized by the National Chamber of Ecotourism and Sustainable Tourism (CANAECO). At the Conference countries such as the United States, New Zealand, Kenya, Peru, Bhutan and Australia, and other countries will be part of it to share experiences and lessons learned in the past regarding to Sustainable tourism and ecotourism. Costa Rica is a leader and pioneer in sustainable tourism, therefore it was chosen to lead the discussion, do an analysis of the past regarding to sustainable tourism and share experiences on the subject, which focuses on the three issues: the environment, part of people and their actions and how a peaceful country without an army for more than 45 years can support international peace. This year the P3 takes place for the 4th time and will have four subject areas associated to the four elements of earth, air, wind and fire. Especially this year the conference will try to motivate other countries to focus on eco-tourism as well as to communicate how to manage sustainable tourism. Several other issues regarding t green economies, friendly investment, sustainable destinations and how to expand markets and achieve greater competitiveness in the tourism sector will be part of the agenda. The goal of the event is to share strategies, best practices, challenges and opportunities in the tourism sector between countries all over the world. It takes place to help make tourism a sustainable activity and further more to emphasize the important role that Costa Rica has assumed on a global level. 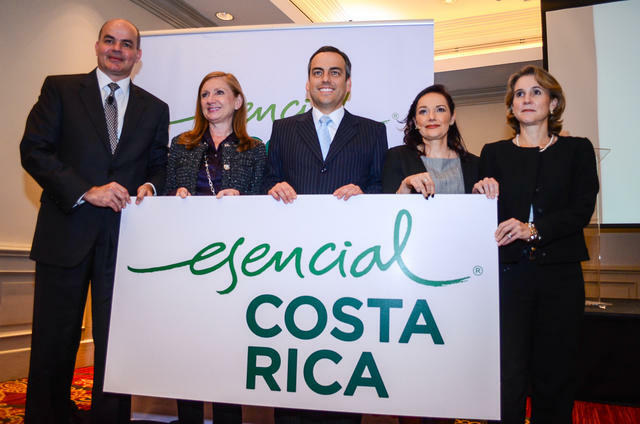 The new national brand “Essential Costa Rica” will also be an important part of this event. Einmal pro Monat, gewöhnlich eine Woche vor Neumond, hat man im Nord-Westen Costa Rica’s, am Strand von Ostional, die Gelegenheit ein einmaliges Naturspektakel zu beobachten – die „Arribada“ von Ostional. In der Regel dauert eine Arribada 3-7 Tage an – in dieser Zeit kommen hunderte, oft tausende, Schildkröten an Land um ein Loch zu graben und anschließend Eier zu legen. In Ostional kann man das ganze Jahr über Meeresschildkröten beobachten, doch die beste Zeit ist während der Regenzeit von Juli bis Dezember. Zu dieser Zeit ist die Zahl der an Land kommenden Schildkröten um einiges höher als während der Trockenzeit. Die größte Arribada die je in Ostional gesehen wurde fand im November 1995 statt und umfasste ca. 500.000 Schildkröten. Gewöhnlich kommen die Meeresbewohner in der Nacht, da sie zu dieser Zeit am besten von ihren Feinden geschützt sind. Doch während einer Arribada kann man die Tiere im Morgengrauen und oftmals auch während des ganzen Tages bei Sonnenschein beobachten. Schildkröten kommen gewöhnlich an die Küste, bis zu jenem Punkt, wo das Wasser auch während der Flut nicht hingelangt, so dass die Eier vom Meer geschützt sind. Sind sie weit genug an Land, benutzen sie ihre Flossen um ein Loch zu graben und anschließend 80-120 weiche, weiße Eier zu legen. Während des Eier-Legens befinden sie sich in einer Art Trance-Zustand – jegliche Geschehnisse in unmittelbarer Nähe werden nicht mehr wahrgenommen, der ganze Fokus liegt bei den Eiern. Anschließend werden erneut die Flossen benützt um das Loch, in dem die Eier liegen, mit Sand zuzuschütten um sie vor Feinden, wie Krabben, Hunden, Jaguare oder Geiern zu schützen. Die ganze Prozedur dauert in der Regel 1-2 Stunden und ist außerordentliche anstregend für Schildkröten. Während einer Arribada in Ostional werden bis zu 10 Millionen Eier gelegt. Überraschenderweise ist der Strand von Ostional der Einzige auf der Welt, an dem das Ausgraben von Eiern von Einheimischen gestattet ist. Wissenschaftler fanden heraus, dass während einer Arribada jene Eier, die in den ersten drei Tagen gelegen werden, an den weiteren Tagen von anderen Schildkröten zerstört werden. Daher dürfen Einheimische innerhalb der ersten drei Tage Eier ausgraben und verkaufen. In einigen Regionen Costa Rica’s zählen Schildkröteneier als Delikatesse – der Preis für 200 Eier liegt bei ca. USD 10. Das Ernten der Eier wird streng kontrolliert und überwacht. Als Gegenleistung hilft man den Strand stets sauber zu halten um den Schildkröten ein möglichst natürliches Umfeld schaffen zu können. Gewöhnlich schlüpfen die Babyschildkröten in der Nacht ca. 45-55 Tage nachdem die Eier gelegt wurden. Abhängig von der Temperatur kann man auch sehen, wie sie während der Tageszeit schlüpfen – gewöhnliche bevorzugen sie ein kühleres Klima. Sobald die Jungen geschlüpft sind, riechen sie das Meer und wissen sofort wo die Reise hingeht. Will man den Kleinen helfen, sollte man sie nicht nehmen und zum Meer tragen – sie müssen gleich nach der Geburt ihre Lungen und Flossen stärken, um später im Meer überleben zu können. Von allen gelegten Eiern schaffen es in der Regel nur ca. 0-1% zu überleben. Der gefährlichste Feind is nach wie vor die menschliche Spezies. Doch jene Schildkröten, die es schaffen zu überleben, wissen wo sie geborgen wurden und kommen Jahre später zurück, genau an den gleichen Ort, um erneut Eier zu legen, wie es einst ihre Mütter taten. The Jaguar Rescue Center is a nonprofit animal rescue center, located in Puerto Viejo – Costa Rica. Encar and Sandro, the founders are specializing in orphaned and injured jungle animal babies, like monkeys and sloths. After many trips to Costa Rica, Encar and Sandro decided to leave Europe and move to Costa Rica to help injured animals. At first they started with reptiles, but due to the fluency of animals that needed to be rescued the project kept on growing and in 2008 the Jaguar Rescue Center was born. In 2007 a Jaguar mother in Costa Rica has been killed by local farmers because they suspected she had killed two goats. Her baby was given to Encar and Sandro, but the baby was extremely dehydrated and very sick. Encar and Sandro tried everything they could, but in the end the poor baby jaguar died. Encar and Sandro decided to name their animal rescue center in honor of her and the Jaguar Rescue Center was born. people at the Jaguar Rescue Center work to return injured and orphans animals to the wild. The spirit of that original baby jaguar lives on in every animal they rescue and their mission of “Help Us Help Them” continues in her honor. 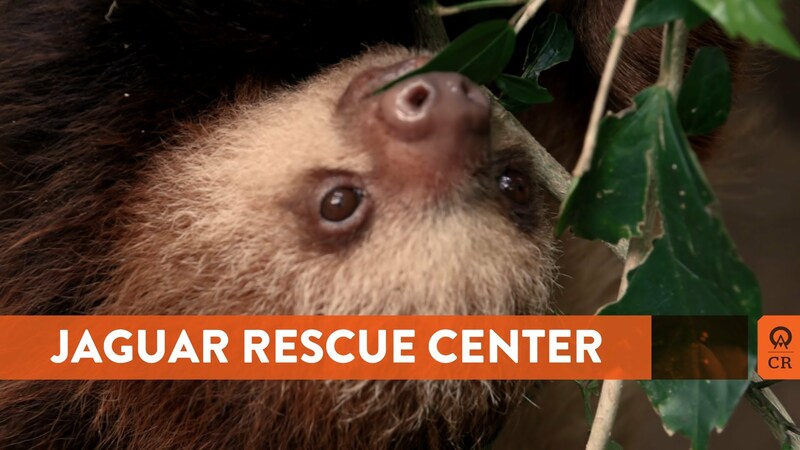 The Jaguar Rescue Center does not receive any financial aid from government or institutional agencies but can survive due to donations, adoptions from animal lovers and visitors who bring some items that can be found in Costa Rica or are too expensive. Monsanto, the leading producer of GMO seeds, has made its way into Costa Rica, but local residents, environmental groups, lawmakers, and community organizations are trying to fight against them. They are campaigning for the passage of a new bill that would place a moratorium on GMO crop sat on national level. If passed, the bill would make Costa Rica a 100% GMO-free country. As of now, 63 out of 81 cantons or local authorities in Costa Rica have declared themselves GMO free. San Jose, the capital of Costa Rica, has recently passed a motion that prohibits GMO food sales and consumption in addition to GMO crops from the region. The latest GMO free cantons are Vazquez de Coronado and Zarcero. These two regions are known for their quality dairy production and their agricultural output. All together it took the Environmental Commission six month in Coronado to join the other 62 cantons in Costa Rica that have become transgenic free territories by means of municipal codes. These measures are often taken to fight against companies such as Monasanto. The company was recently found playing a corporate shell game to surreptitiously introduce GMO seeds in Costa Rica, but the Constitutional Chamber is currently reviewing that incident. Environmental activists in Costa Rica are often attending cantonal meetings while GMO free proposals are being considered to ensure that everything is going on correctly. A six-month period of research and evaluation such as the one undertaken in Coronado is the norm. The proposals often call for implementation and outreach programs to teach farmers and people about the potential damage that certain GMOs can cause to the soil and ecosystems. Recently published articles tell about other regions that are fighting the potential dangers of GMO seeds: The world-famous City of Las Vegas and the venerable Republic of India. Costa Rica’s new national brand aims to attract new foreign investments. After five years, Costa Rica unveiled its new brand, “Essential Costa Rica.” Many commercial promoters of Costa Rica hope that combining Costa Rica’s well known and established tourism brand with its exports and foreign direct investments opportunities will boost the country’s international competiveness. It also involves the promotion of exports and foreign investments. The new brand is the result of collaboration between public and private sectors. According to Costa Rican advertisers it stands for the four essential characteristics of the country and its people: authenticity, sustainability, pride and humanity. From 2014, the brand will be used in international campaigns and tourism fairs. Foreign Trade Minister Anabel González says that there is an enormous synergy between promoting tourism and promoting exports. Most people have a good and positive but uncompleted image of Costa Rica. In recent years, since its entry into international tourism branding in the mid-1990s, Costa Rica’s economy hast developed into innovative in Latin America. Tourism Minister Allan Flores believes Costa Rica’s goal to grow sustainable tourism by an annual rate of 5 percent is more realistic than ever, because now the country’s commercial sector is united under a common brand. The world loses about 13 million hectares of forest annually, nearly 4 million hectares in Latin America. The increase in deforestation causes serious social and environmental problems, such as the lack of drinking water sources, reduced crop yields, soil erosion and biodiversity loss. Costa Rica is the only Latin American country to reverse this trend. Costa Rica’s forest cover reached more than 52% of its territory in 2012 – an increase of nearly 1% compared to 2005. One of Costa Rica’s environmental goals is to be a carbon-neutral country by 2021. The reproduction of forest is a great and important step to reach it. With this plan first of all Costa Rica wants to reduce carbon dioxide, then tries to preserve biodiversity and thirdly, which is probably the most important measure, Costa Rica wants entirely protect their water sources. The Reducing Emissions from Deforestation and Degradation has been fundamental to Costa Rica’s reforestation success. Reducing Emissions from Deforestation and Degradation encourages reforestation primarily by funding sustainable tree farming projects for the timber industry. A very effective initiative, which the Costa Rican government has launched, was the Forestry Credit. Since 1987 companies and individuals’ can provide environmental services to request resources to finance their projects. Due to this measure more and more people decide to keep their forest and property and use it as equity instead of not using it at all. In 1996, Costa Rica launched the Payment for Environmental Services Program, in which the National Forestry Financing Fund pays the owners of forests or forest plantations to protect the environment. Furthermore businesses and other organizations can purchase Environmental Services Certificates, which serve their corporate social responsibility strategies and whose resources help finance the Payment for Environmental Services Program. Authorities expect to have 7,500 hectares of land reforested and add 100 new farming and forestry companies to the PSA program by the end of 2013 – this is great step to protect our environment! Through sustainable tourism you can further help to protect our environment and our planet.